, an awesome artist I admire a lot. Yellow bunny with canine teeth and squishable paws. Paco, I need to steal you for another commission one of these days. Everything you do is just overkill adorable! You could do the most gory thing ever and it would still be cute! I also need to get the one you did for me printed on canvas already! 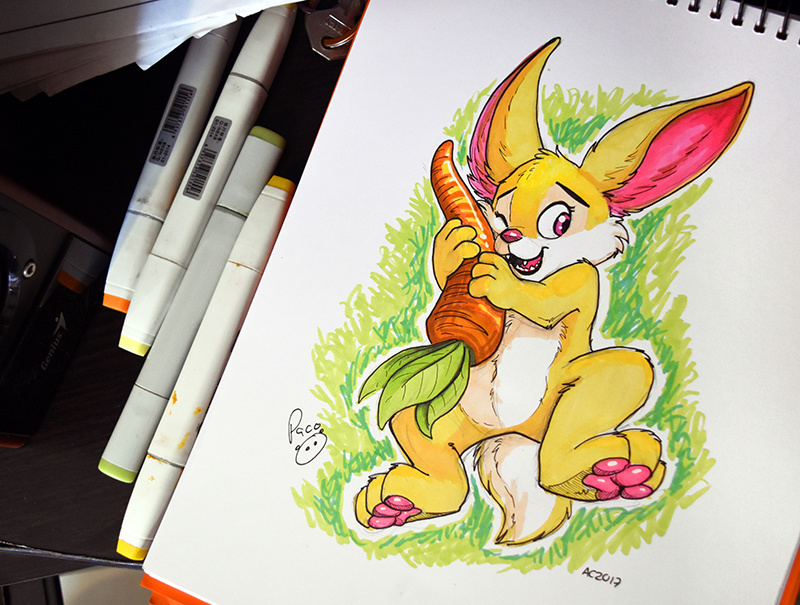 maybe that carrot is for something we haven't seen yet XD GREAT work paco!